I have come across these brand new Ty Flippables for 2019! 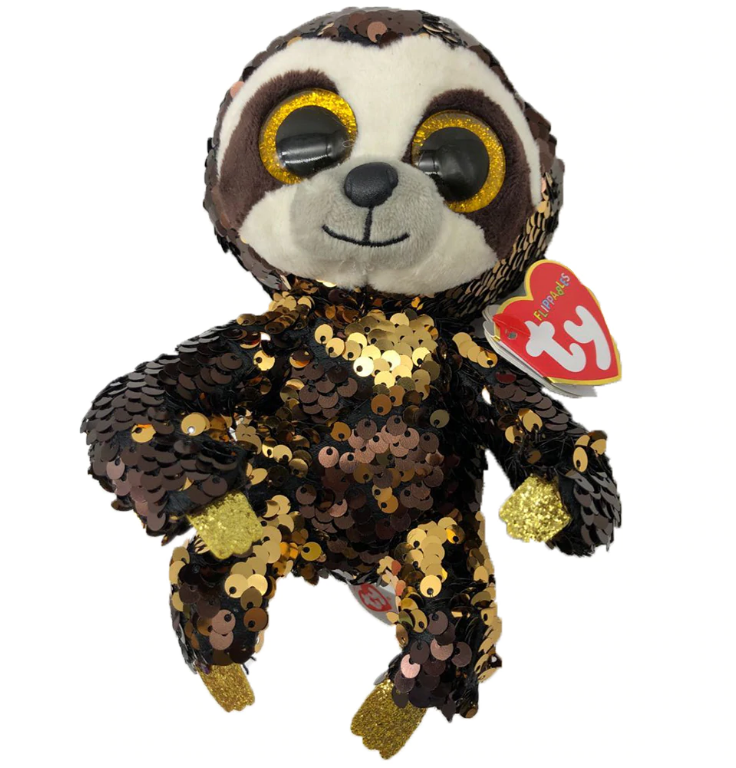 The first of these appears to be a version of the Dangler Beanie Boo, but instead is covered in brown sequins that flip to a gold colour. 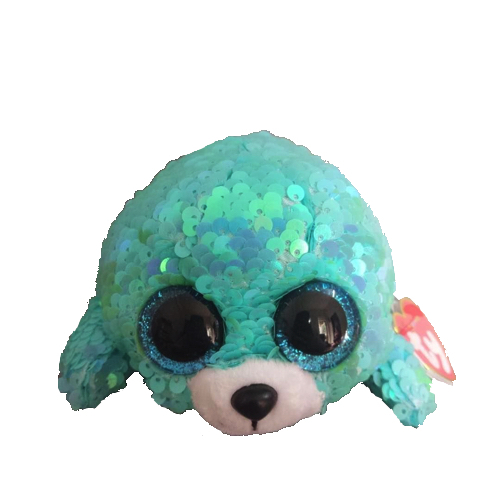 The Dangler Flippable has large, gold glitter eyes just like his Beanie Boo counterpart. 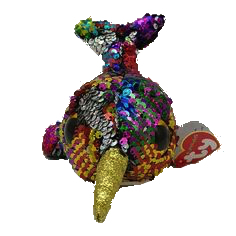 Next up, there’s a rainbow coloured Flippable called Calypso the Narwhal. 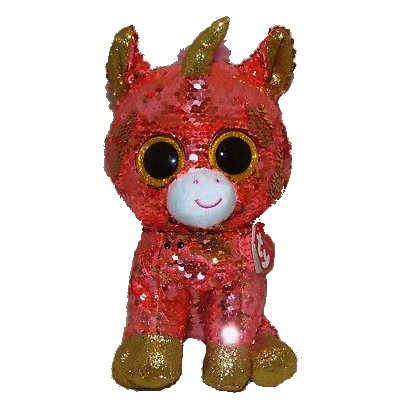 His brightly coloured reversible sequins are all sorts of different colours and he has a sparkly gold horn. He seems to be based on Nori the Narwhal, especially with the rainbow colouring. I have also seen this cat Flippable floating around called Whimsy. 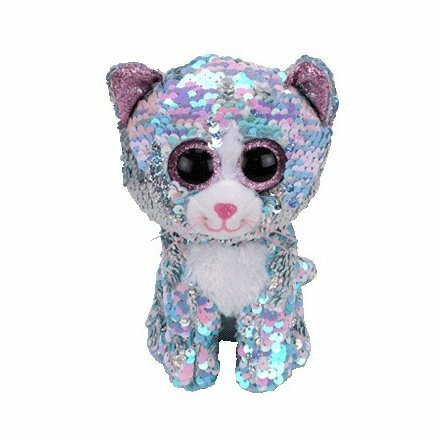 She has silver coloured flippable sequins that change to a pearly iridescent colour when you stroke them. She looks so cute! I also found a picture of this cute little seal Flippable called Waves. He’s a kind of pearly turquoise colour, but I’m not really sure what colour his sequins are when they’re flipped. There’s also a new Pixy the Unicorn Flippable. 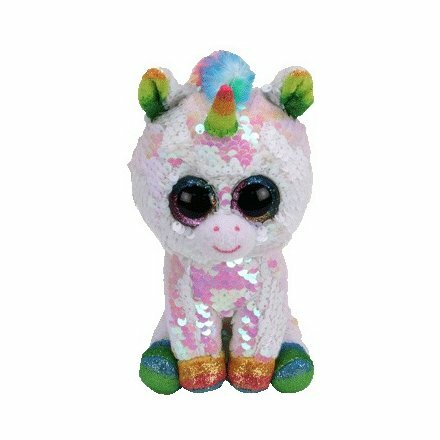 She is just like the Beanie Boo version of Pixy, only she is covered in flippable pearly white sequins that flip to a kind of pink colour. Her glitter eyes are also rainbow coloured. There is another unicorn called Sunset that is an orange-pink, almost salmon coloured “sunset” colour. She has a glittery gold horn and a fluffy pink mane. Finally, I’ve also seen Slush the Husky in a Flippable form. 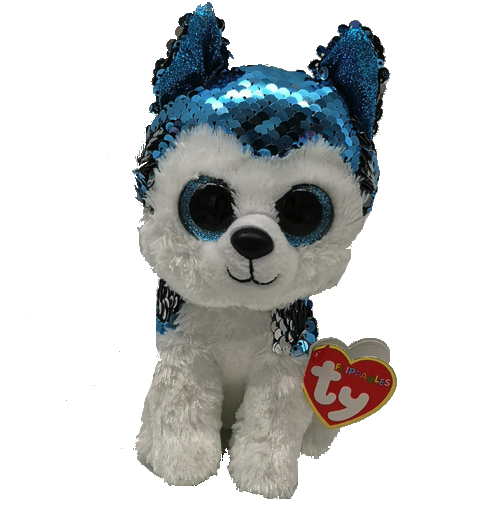 He looks a lot like the Slush Beanie Boo, only his fur has been transformed into flippable sequins that alternate between blue and silver. Have you come across any of these new Beanie Boos? If you have any information on them, please let me know!